If you are looking for perfect snuggle buddy, then meet Abba! 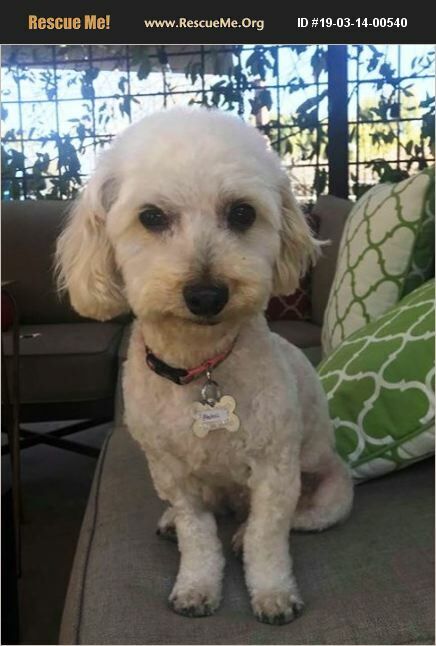 Abba is about 5 years old and is a non shedding poodle. She originally came to us as a stray. Abba needs to have her person by her side at all times, either in the same room, but prefers to be touching. She will need a stay home person(s) and only older kids that understand she can get scared at times. She attaches to one person and can get very territorial of that person. She will low growl and we thinks she is trying to be protective. Abba really needs to be in an only dog home getting 100% of the attention as she occasionally will growl at her foster siblings and cat too. She knows how to sit for treats. Abba is potty trained, loves to sleep in bed, and is learning to love car rides. She loves walks, playing in the grass and is a sweet little gal. The groomer said she did great during her cut and curl. They believe Abba was a stray and seemed a bit shell shocked when she first arrived in foster. She had to have multiple mammary tumors removed, spayed and several infected teeth removed. She is all healed now and is settling into her new foster life. She is looking for new people that will help her live out her dreams of a little indoor princess. While Abba has been with AZSDR she has had a tumor removed, a dental cleaning and was treated for a bad ear infection. Abba is hypoallergenic and will require regular grooming. She weighs 11 pounds and is full grown. She is spayed, up to date on vaccines, chipped, vet checked, licensed, comes with 30 days of free pet insurance, and comes with a free vet visit. To meet Abba text her foster mom Jennifer at 602-540-7444.